A well-rounded healthy lifestyle is comprised of so much more than simply pulling on a pair of running shoes every once in a while, or completing a few lengths of the pool each Sunday. Though regular exercise certainly plays an important part in the quest for a healthier, fitter body, so too does a focus on mental health and quality nutrition. We will cover mental health in another article, however it’s worth a mention when talking about the complete picture of health and fitness. Back to nutrition, there is little point in burning off a few hundred calories in an extended workout, only to put them all back in by means of a fatty burger or overloaded pizza. The Centre for Disease Control and Prevention states that excellent nutrition can go a long way in staving off several serious conditions, such as heart disease, diabetes, and several cancers. What’s more, the same source states that eating properly will help you to maintain optimum weight, a fact that goes hand-in-hand with regular exercise. Additionally, the human body requires good, honest food to function at its very best, so you can see just why nutrition is so vital to our overall well-being. Due to the overwhelming importance of good nutrition, a number of courses at Australian Fitness Academy (AFA) incorporate modules dedicated to this topic within the syllabus. Understanding how nutrition works is an essential attribute to anyone looking to build a career in the health and fitness industry, but perhaps none more so than those looking to become personal trainers. If you’re thinking of studying a Certificate III & IV in Fitness at AFA, for example, you’ll learn how to give basic healthy eating information to clients in accordance with recommended Australian dietary guidelines released by the National Health and Medical Research Council. This will come in enormously handy when composing fitness plans for countless future clients who’ll be enlisting your expertise with the primary target of losing weight. 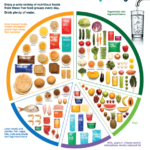 Educating Australia about basic healthy eating – the nation needs you! If ever there was a need to illustrate just how important it is that Australia is educated about good nutrition, this is summed up in a report released by Roy Morgan Research. The organisation states that just 2 per cent of Australians eat the minimum amount of fruit and vegetables on a daily basis as recommended by the National Health and Medical Research Council. Hence, simple maths tells us that a staggering 98 per cent of the population aren’t eating as well as they could be. Additionally, the Australian Institute of Health and Welfare (AIHW) reports that nearly two in three adults (63 per cent) are either overweight or obese, which is a 10 per cent increase on the figure from 1995. Carrying more weight than you should be can lead to a range of serious illnesses, including Type 2 diabetes, cardiovascular disease and certain musculoskeletal conditions, according to the AIHW. Therefore, it’s of paramount importance that anyone looking to work in the health and fitness industry is fully clued up on nutritional information, so that you can provide general healthy eating advice to your clients. This can help create a fitter, healthier Australia, and you can be part of it with Australian Fitness Academy. Further information and guidelines around what Fitness Professionals & Personal Trainers can advise is covered within the Certificate III & IV in Fitness.